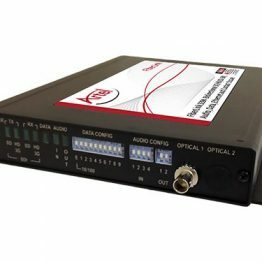 VidOvation VidOlink COFDM Family of Low Delay HD SDI Wireless Transmitters and Receivers - Fiber Group Inc.
Broadcast grade video and audio through a 6, 7 or 8MHz channel. Conforms to COFDM DVB-T standards. Optional – Video Streaming via internet. The VidOlink COFDM Family extends our wireless HD SDI capabilities up to 40 miles using COFDM technology. The VidOlink COFDM Family’s high RF output power and robust modulation methods provide an end to end latency of less than two frames (50-55ms). 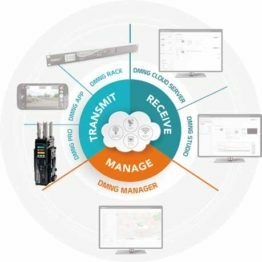 The VidOlink COFDM Transmitter uses enhanced H.264 compression and advanced CABAC implementation with a multi-layer rate control permits robust QPSK modulation instead of 16QAM (for the same bandwidth) thereby extending link range by more than 50%. 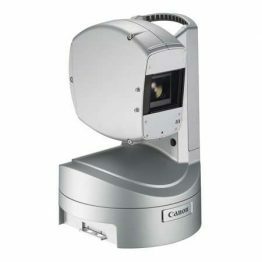 The VidOlink COFDM Reciever is a two-antenna diversity receiver intended for demanding, long range, high mobility HD wireless video applications. It is designed with a small form factor for applications with minimal space, mounted behind a monitor, rack mounted or for camera back applications with a V-mount or AB battery plate. A bright OLED display shows all relevant link information, even from a distance. A separate SD output is available for monitoring link performance and quality. External Block Down Converters (BDC) allows long cable lengths of up to 150 feet between the antennas and receiver making it versatile for applications through walls and around obstacles. 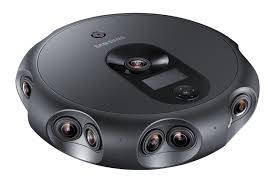 Let VidOvation help you roll up the clutter of cables with our broad range of wireless video transport systems. Our products come in all shapes and sizes while fitting into your budget parameters. These systems support short and long range applications. VidOvation realizes every wireless video need is different and we specialize in finding superior products to match some of the most demanding needs. Please call today. VidOlink-COFDM-L-RX: L-band receiver with a tuning range of 900 MHz- 1250 MHz, 1.3 -1.7 GHz , 1.7GHz-2.1GHz (specify band while ordering). 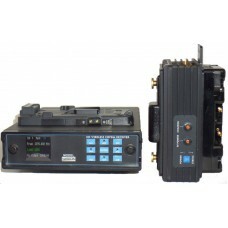 VidOlink-COFDM-S-RX: S-band receiver with a tuning range of 2.1GHz-2.5GHz. VidOlink-COFDM-C-RX: C-band receiver with a tuning range of 5.6-6 GHz.